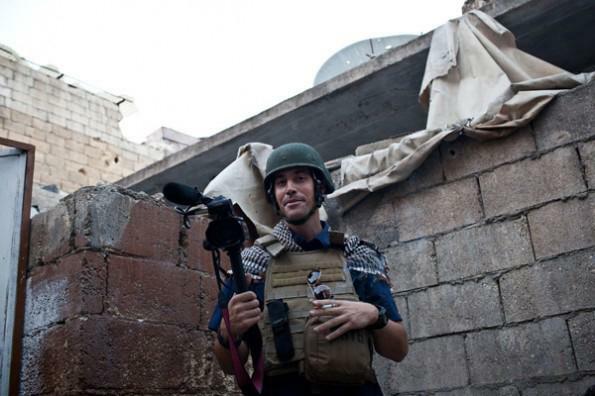 Medill alumnus James Foley, an American photojournalist, was beheaded by ISIS, U.S. officials confirmed Wednesday. The execution was videotaped and posted on YouTube on Tuesday. The authenticity of the video was confirmed in a statement by National Security Council spokesperson Caitlin Hayden. Foley (Medill ‘08) was captured in Syria in November 2012 and has been missing for a total of 636 days as of Tuesday, according to FreeJamesFoley.org. The graphic video that circulated on social media Tuesday shows Foley and his executor giving statements prior to the execution. Diane Foley, the mother of James Foley, released a statement Tuesday night commending her son for the work he has done and the person he was. Diane Foley also urged the kidnappers to spare the lives of other hostages. Medill Dean Brad Hamm said in a statement the Medill community is shocked and saddened by the reports of James Foley’s death. In the video showing his execution, Foley calls on his brother, a member of the U.S. Air Force, to address America’s actions and the effects of those actions on people’s lives. He says he wishes he wasn’t an American. Afterwards, a man believed to represent ISIS identified Foley in the video and warned the U.S. government that any further actions would be met with acts of violence. After the execution of Foley, the man in the video threatens to kill another American journalist depending on further actions taken by the U.S. The video, titled “A Message To America,” was taken down by YouTube shortly after it was posted because it violated the site’s violence policies. Foley, 40, spoke at Medill in 2011, only 15 days after he was released from captivity in Libya. Foley earned his masters degree in journalism from Medill. This post was updated to include statements from the National Security Council, Diane Foley and Medill Dean Brad Hamm.